The concept of active listening refers to listening to other individuals with full consciousness, being totally focused to understand and empathize with the message that the other individual is trying to communicate. Active listening between individuals is a key factor in developing and maintaining a satisfying relationship with the people around you, as it is as important to know how to listen as to know how to speak. The same goes for the relationship between brands and consumers. 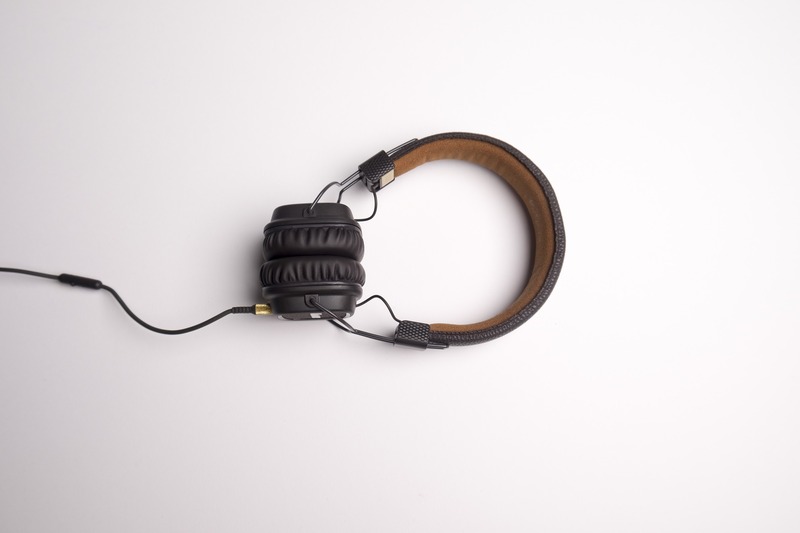 Besides broadcasting messages to promote products or services, brands must listen to consumers. This way, if you use the right tool to listen, you can get a lot of insights from the many posts generated by those consumers and you can segment audiences, analyse sentiment, and much more. Are you ready to listen to what’s being said about you on the Internet? In a simplified way, Social Media Monitoring is the use of a tool that collects and analyses what is said on Social Media, which is not only Social Networks but the entire Internet (blogs, news, forums, review sites and web sites in general). And not only the brand’s channels so no mention about the brand in whatever channel is missed. But how is this data collected? 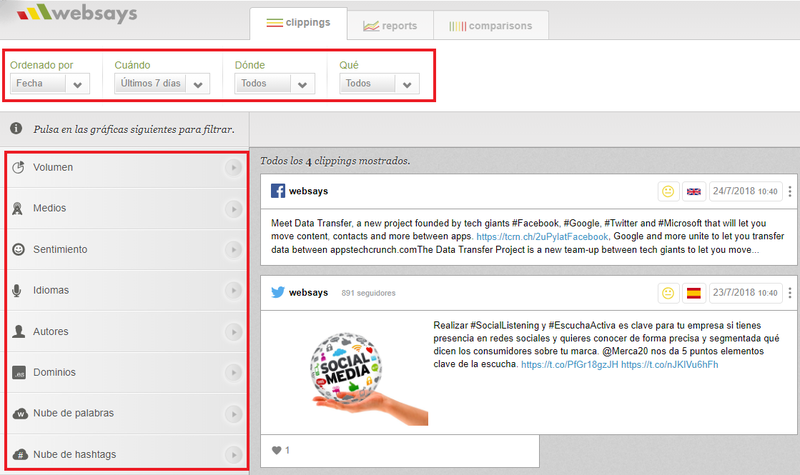 Monitoring tools such as Websays index different web sites and connect to different APIs to collect social data. The system works based on keywords (words and phrases) that define what the client needs to monitor. It could be simply the brand’s name or hashtags but also people names, competitor brands or any concept or word that the client is interested in monitoring. Those keywords can be complex queries with ANDs and ORs and also with NOTs to avoid non relevant data. In general the query creation relies on the client, but in Websays we do it ourselves with a team of analysts so the client can outsource this task and simply enjoy the results. This collected data is then showed in a dashboard where all mentions can be viewed but also offer ways to generate reports showing analytics with graphs and insights. The mentions displayed on the tool’s dashboard can be sorted and filtered by several criteria such as sentiment, channel, language and many other parameters. This way, it is much easier to find the insights that interest the client for his or her business. 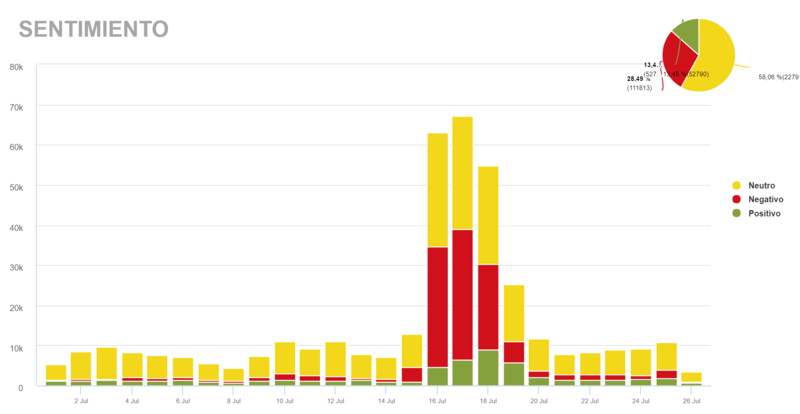 In addition to displaying mentions filtered and organised, monitoring tools offer graphs and insights that are created automatically as data is updated. These graphs cover topics such as volume of mentions, sentiment, the most used channels, the main topics, etc. Then each tool show this data in different ways that might help understanding the whole picture, specially for big brands with millions of mentions. 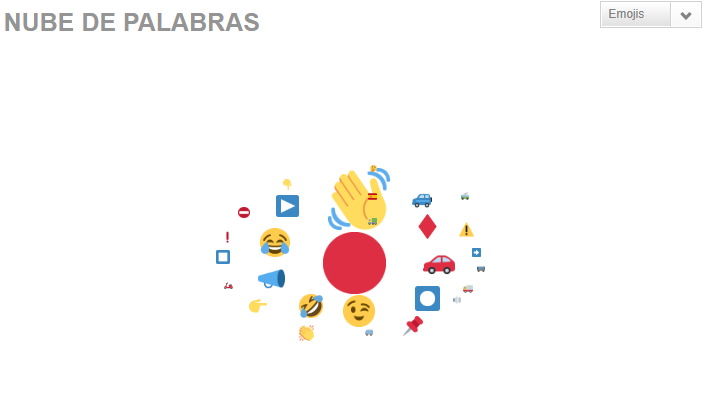 For example Websays has indicators like the Top10 and Word Clouds that can be filtered to show emojis or hashtags. Want to see Websays in action? If you want to know how our tool works to fully understand what we have explained in this post, you can schedule a free demo here or contact sales@websays.com.